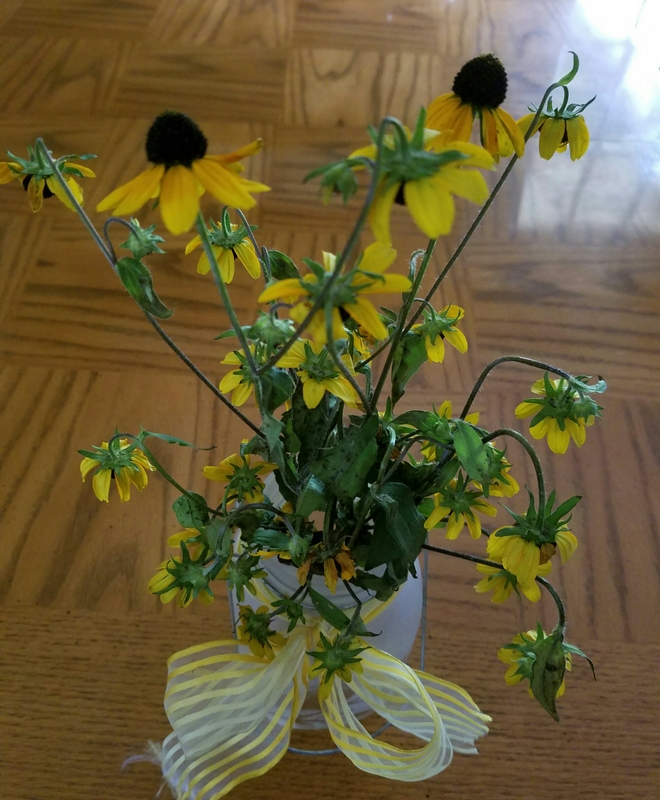 Ever feel like a vase of wilted flowers? I’ve been pretty sick lately. The 103.6 F fever kind of sick. It’s no fun waking up so hot you’re panting as you breathe. That’s legit fever right there. I had energy for sleeping and sipping water, that’s about it. Amoxicillin took a while to kick in, but I was so grateful my husband encouraged me to go get seen. You know you must not be feeling well when you’re the second name on the sign in sheet. I’d say I’m about at 70%, which is a huge improvement over this time last week! Maybe tomorrow I’ll tackle the looming pile of ironing, but for now it can wait. Thank you! I am fever free and getting my strength back! I live in the same general area as you do. For the last month I have had a bug that will not go away. At the worst a low fever and a lot congestion in the back of throat. Seems to be a form of flu and now it is almost gone. Doctor was not too worried about it. Good thing I am retired now or I would have been at work suffering from it. Last Wednesdays had an encounter with a ground nest of yellow jackets. I know where they are, but I am worried about the dogs. Within a couple of days I will pour using a long plastic water pipe some diesel and gasoline mixed with concentrated pesticide down the colony entrance hole. A month earlier they were not there. It appears to be a large colony. Glad you are starting to feel better. Hope you can get rid of those yellow jackets!